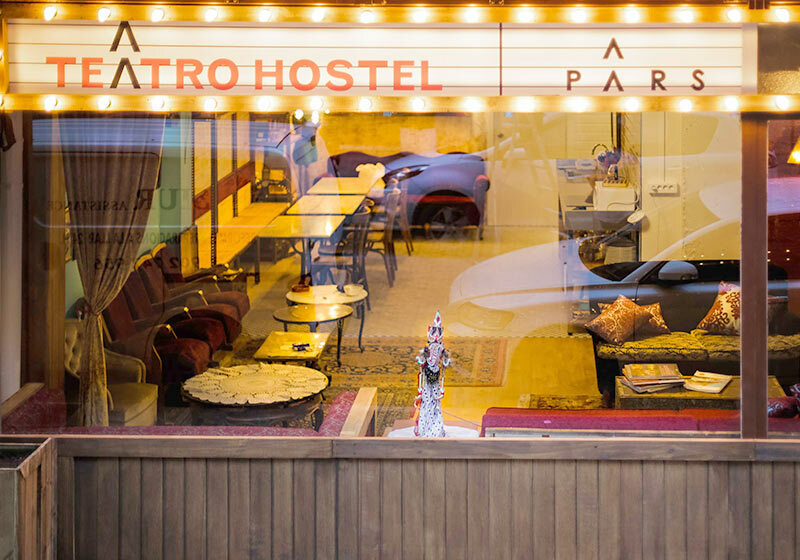 Pars Hostels offers two unique design hostels in central Barcelona. 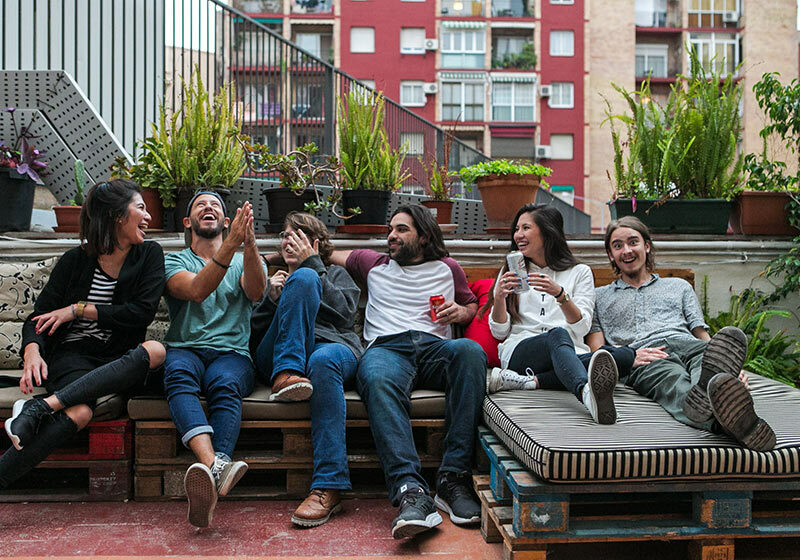 Our tailor-made hostel in the heart of Barcelona invites you to enjoy a tranquil, social hostel stay in style. Join one of our many events, our free tours, relax on our terrace, and learn how to cook a homemade, delicious Paella. All that in style! 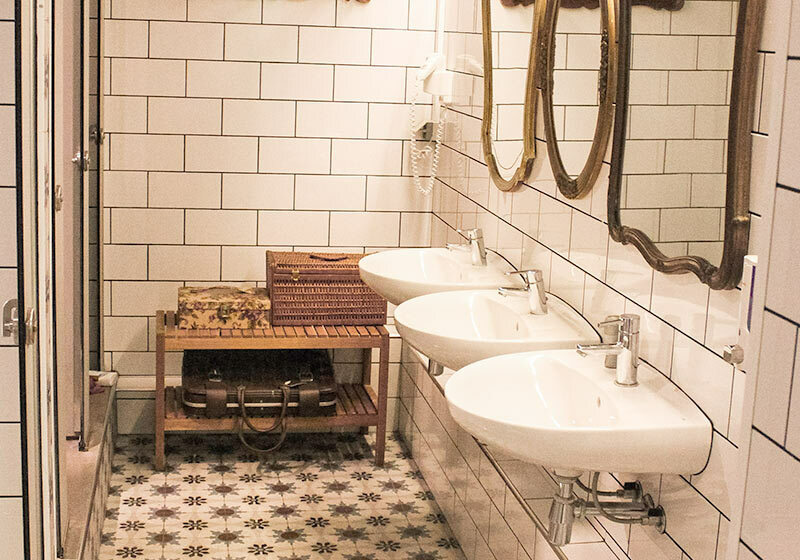 Housed in an old textile factory and inspired by a 1930s tailor shop, Pars Tailor’s Hostel combines vintage chic with up-to-date modern facilities. You can see nods to itours unique history throughout the hostel, like antique sewing machines and pretty swathes of fabric hanging from the walls. Fun fact: the owner used to work in the fashion industry herself. You won’t find anywhere else quite like this in Barcelona – everything here is Tailor-made. It all started when our owner decided to turn her passion for all things fashion into a chic hostel. Her daughter joined the efforts as the hostel’s interior designer to help bring the creative vision to life. Using pieces sourced from local flea markets, visits to old houses in the area, and even donations from friendly neighbors who had something interesting lying around the house, the design slowly began to take shape. 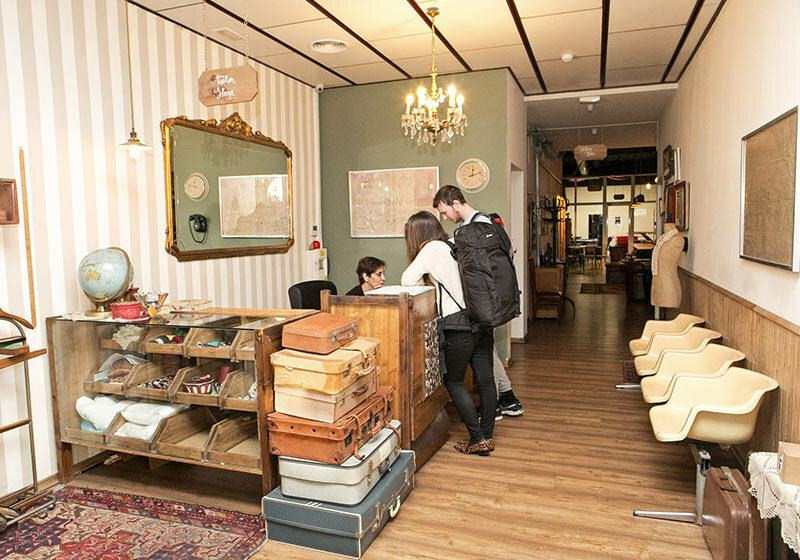 Today, you walk through the doors of the hostel and instantly travel back in time to a 1930s tailor shop, but with a few very modern conveniences to make it all the nicer. The walls are hung with pretty fabrics that may have come from a secondhand market or a specialized shop. 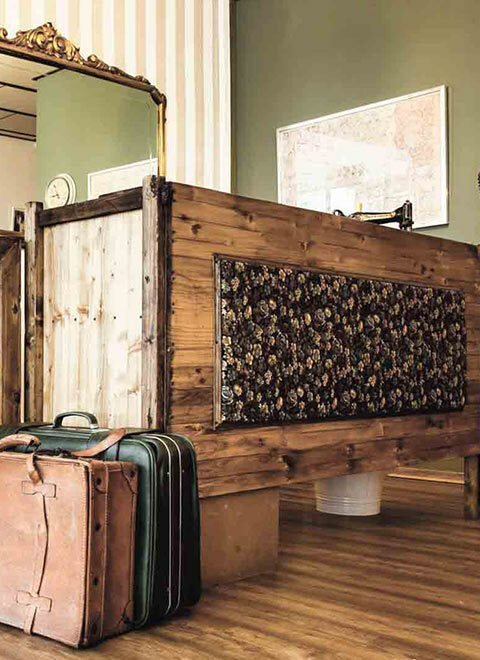 The reception area was custom-built, and you’ll check in alongside a stack of retro suitcases and an old sewing machine. Our modern tailor shop is decorated with vintage sewing machines, mannequins, and even old sewing patterns. The tables in our lounge are shaped like ironing boards and feature a small iron on each table. Speaking of tables, we even have one that came from an sewing machine. Walk up the stairs from the common areas to the dorms, and you’ll find a stairway decorated from floor-to-ceiling in fascinating bits of fashion history, such as old advertisements, snaps and buttons used to make clothing, and even a few pieces of clothing too. Your dorm will be named after a special type of fabric. 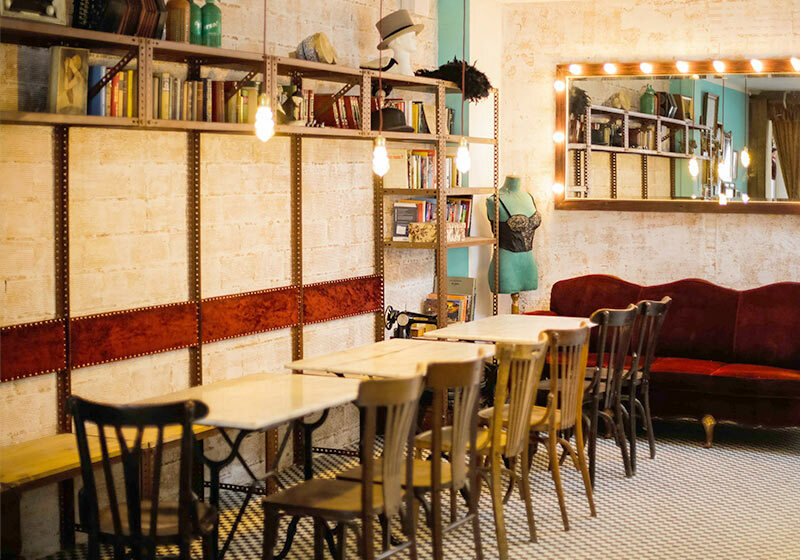 Pars Tailor’s Hostel has been featured in the Guardian as one of the top budget accommodation options in Barcelona, and it has also been featured in fashion shoots in many magazines. You can rent Tailors Hostel for photo shootings as well. 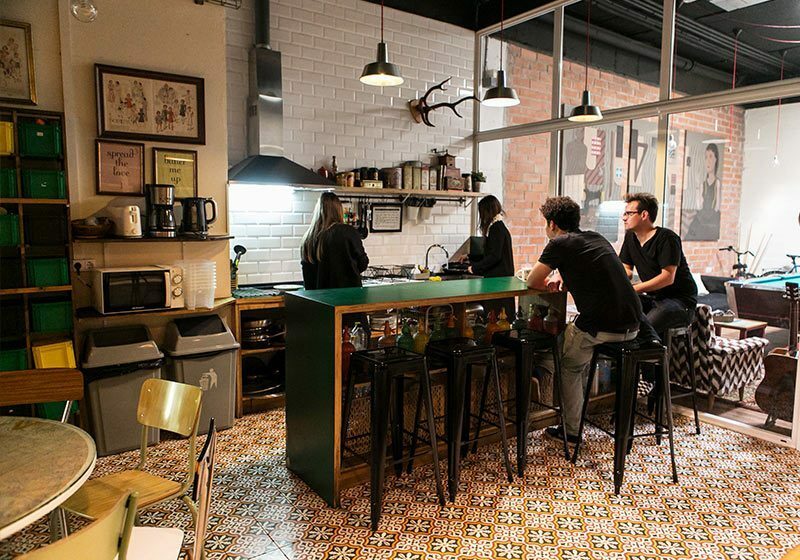 Tailors Hostel is a top-notch hostel with a brilliant location, and a young, friendly vibe! We love to hang out in the stylish lounge. It's easy to connect! No wonder so many travelers return to Tailors Hostel!